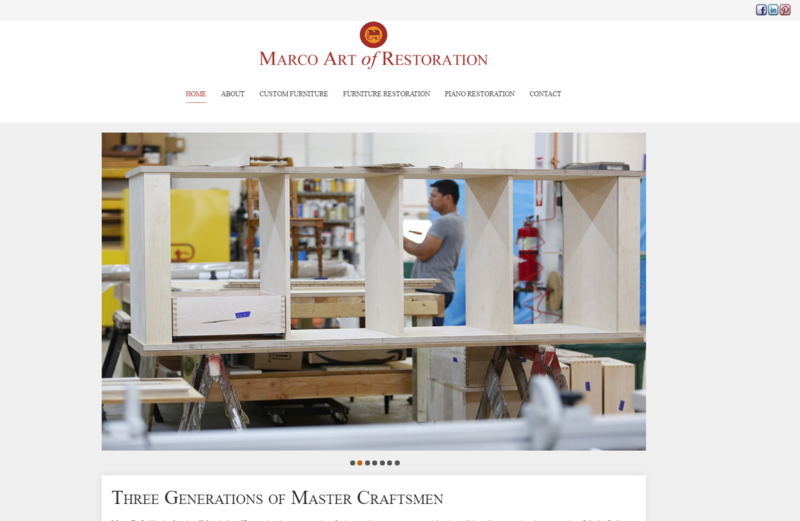 Marco Art of Restoration restores pianos and furniture. It was important that this site utilize a great photo gallery tool, so they can show every bit of the process whe they restore a piece of furniture or a grand piano. It is fascinating to look at the insides of a piano while it gets restored. Marco initially found rytechsites because their initial site was built in a way that made it very difficult for them to modify the images on the website, to the point, that they rarely changed images. With the newer version of joomla and a great photo gallery, they can now post photos of all new projects easily, and not have to worry about the 'tech' stuff of resizing the photos, the site does everything for them. We started working with them back in 2012. Now in 2016, we gave their website a brand new and current look. The site is now completely responsive, and looks great on tablets and cell phones, plus it provides the import functionality that they were looking for.